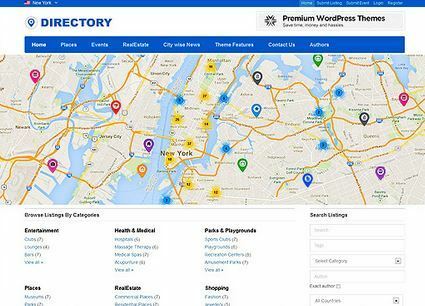 Directory: a classified ads / business directory theme that lets you create and manage content conveniently. It is designed for international sites. It is powered by the Tevolution plugin. 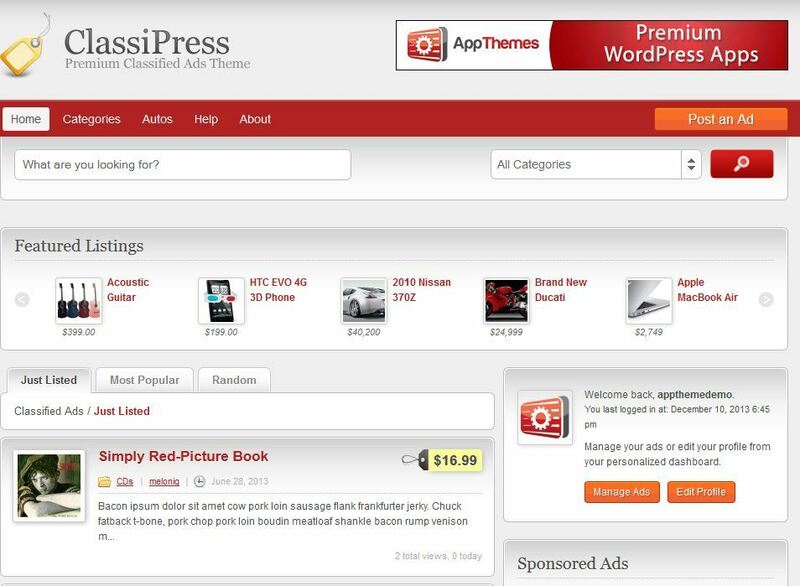 Classifieds Theme: Classifieds Theme is highly customizable and has plenty of color schemes for you to take advantage of. The support behind this theme is top notch too. Support various payment systems and Google Maps. 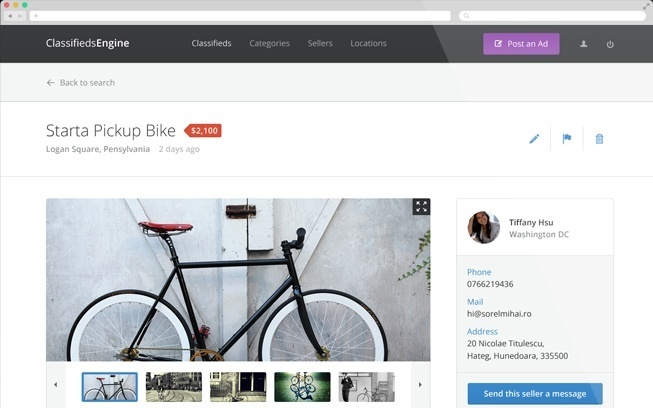 Listings for WordPress: it has a custom homepage. You get a featured slider too. The Google Maps service is supported. This theme is super powerful and highly customizable. 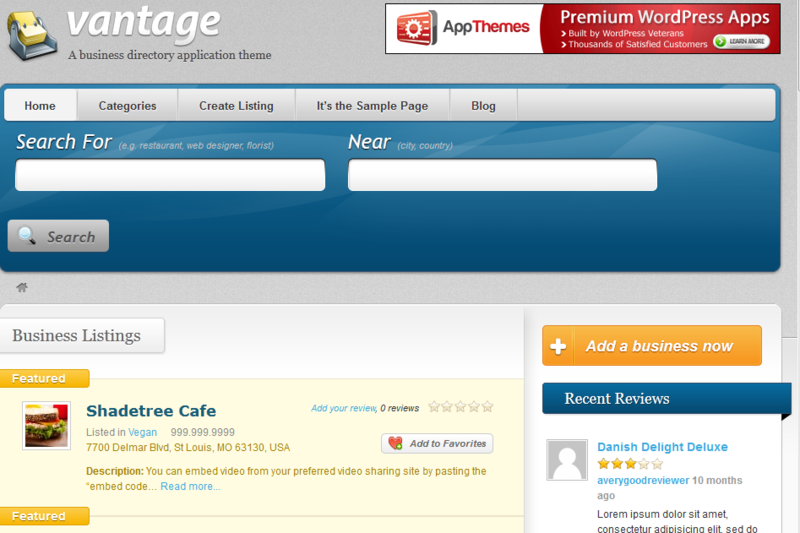 Vantage: a WordPress theme for business directory and classified sites. It comes ready to be monetized. It supports user generated ratings and reviews. 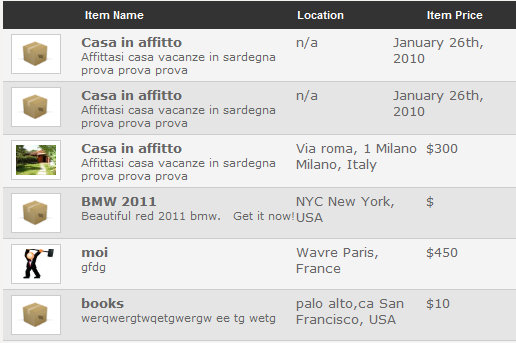 AuctionTheme: it is another classified solution for WordPress. 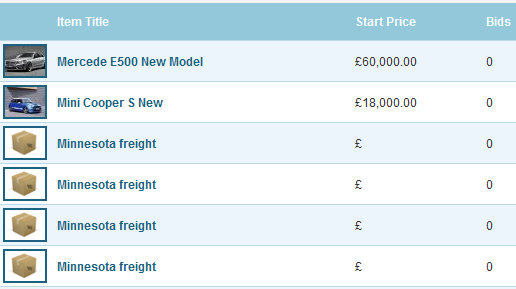 It lets you start your own auction listing WordPress website fast. 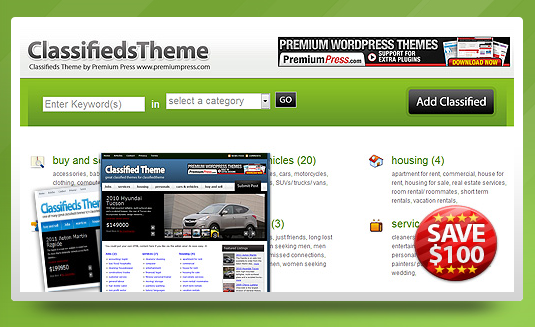 Classified Theme: Classified Theme is a cool listing theme for WordPress that is very well-designed and dynamic. You get a drop down menu and an easy to use submission form. If you are looking for an affordable yet attractive solution for your listing website, Classified Theme is the way to go. 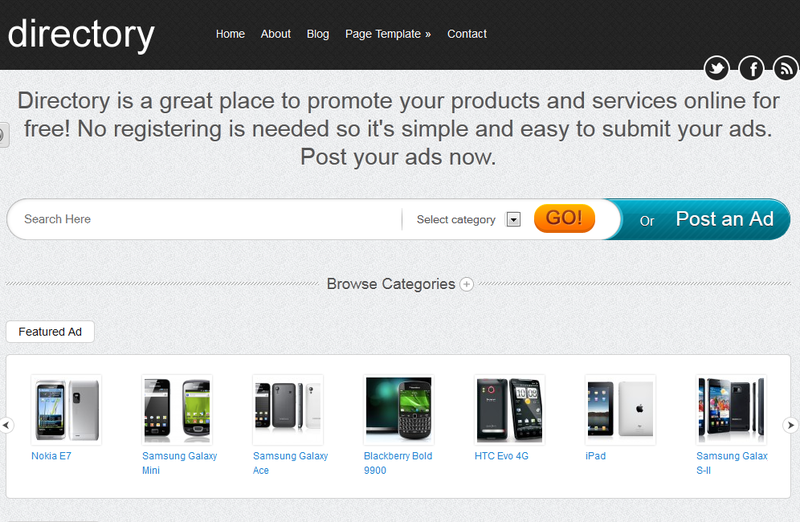 Directory Theme: one of the better looking classified themes around. It is quite versatile and can handle all types of ads. Entries can be posted without having to log into the WordPress dashboard. It has a responsive design. 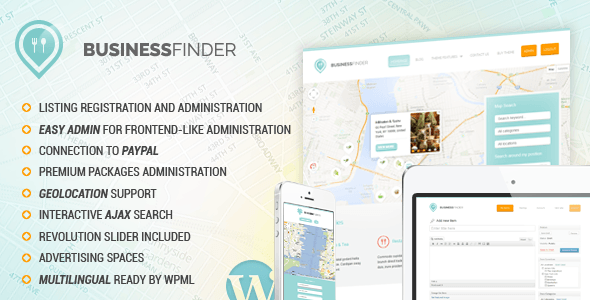 Business Finder: a powerful directory / listings theme for WordPress. It offers easy administration, support for PayPal, and Google Maps integration. The theme is translation ready. Listing websites make it easy to make money from your WordPress site. As long as you have a solid idea behind your classified WordPress website, it is not too difficult to monetize these sites. Keep in mind that there are many of these sites around. So you need to work hard to make your site special. Thanks to the above 10 themes, you won’t even have to write a line of code to get the ball rolling. 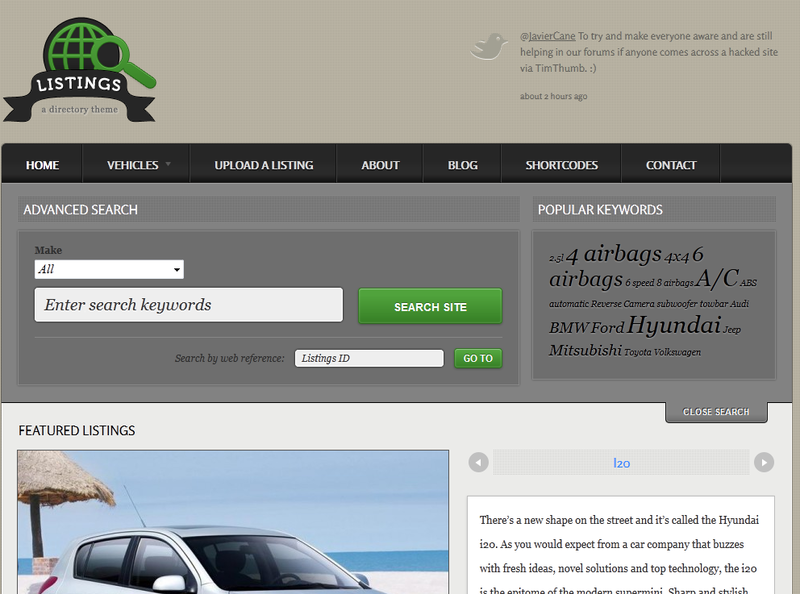 Great list of classified website! I have one as well is called http://www.GoodList.com.au is free to sale your unwanted stuff on http://www.goodlist.com.au. Classified Engine Theme, that's kool. I gotta take a look of this. That's not a complete screenshot. I took it at the time of this writing. It seems the design has slightly changed. If you had to choose one, which one would it be?